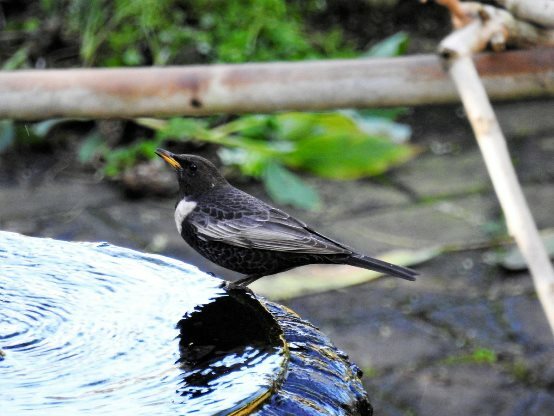 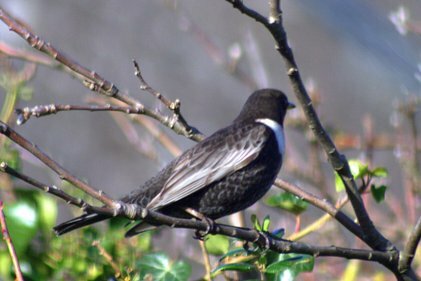 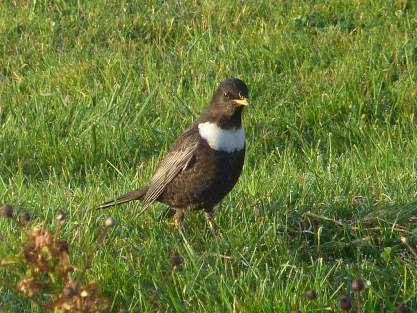 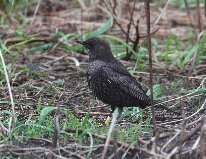 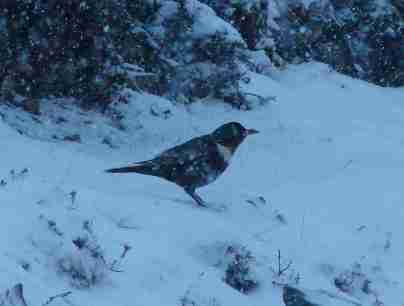 Below:Photo taken by Raymond A Hogg (R.H.Hogg) on 30th October 2017 in Drongan, Ayrshire, of a male Ring Ouzel seen amongst some winter thrushes. 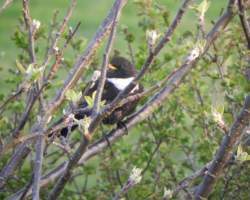 Below: Two photos taken by Marian Kemp on 22nd June 2017 in Weardale. 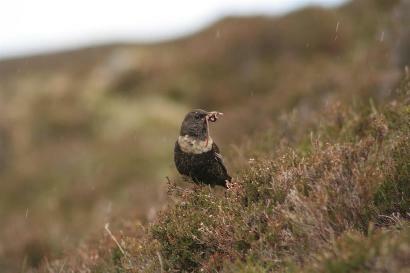 The first photo shows the "colour-ringed" male, and the second photo shows the male feeding a juvenile. 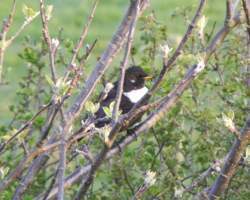 Below: Two photos taken by Ian Cole on 31st May 2017 near Bollihope in County Durham. 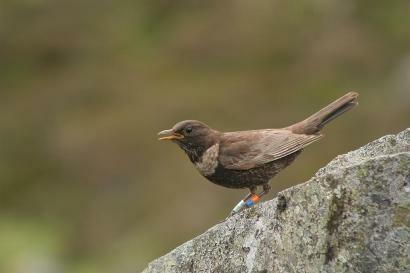 the first photo is of a "colour ringed" female. 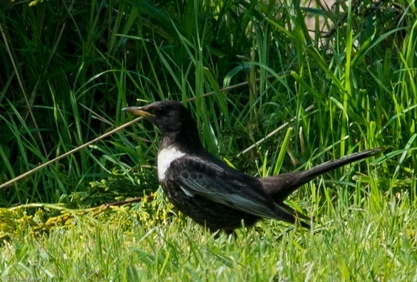 The second photo shows a one-legged male. 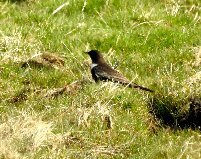 Below:Photo of male "colour ringed" Ring Ouzel taken by Mark Sullivan on 18th May 2017 near the Glen Callater car park at Auchallater, Glen Clunie. 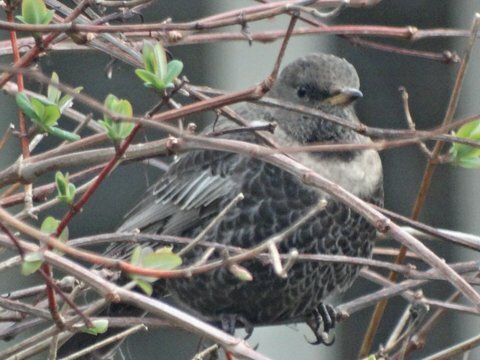 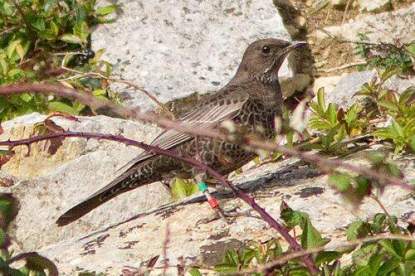 Below: Photo of Ring Ouzel taken by Arnuad Barras (University of Bern) in Switzerland on 30th March 2017. 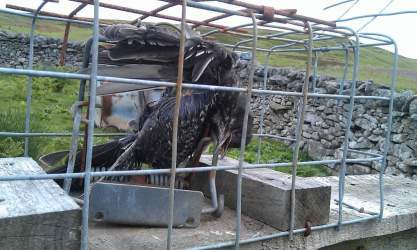 Bird captured for ringing purposes. 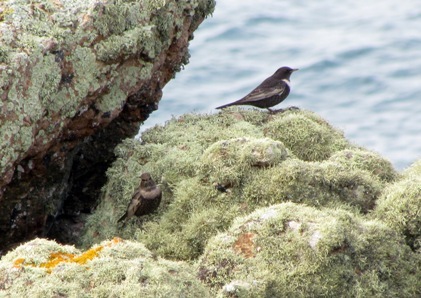 Below: Two photos taken by Des Brommage on Skomer Island in April 2015. 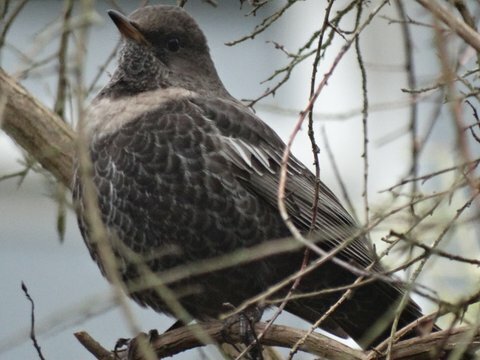 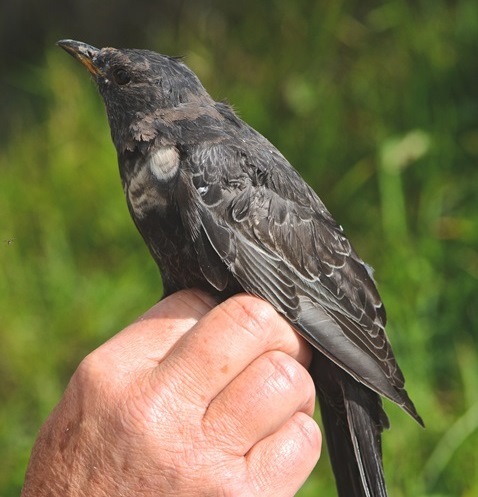 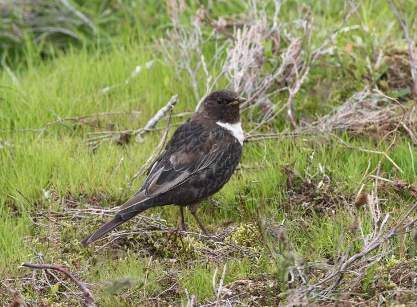 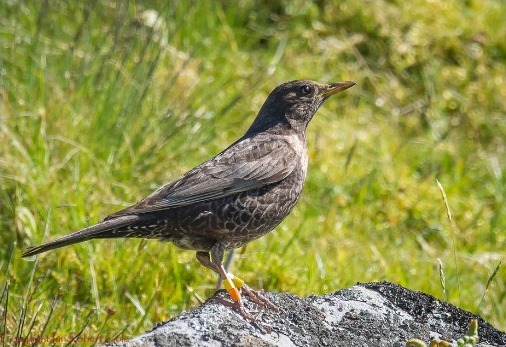 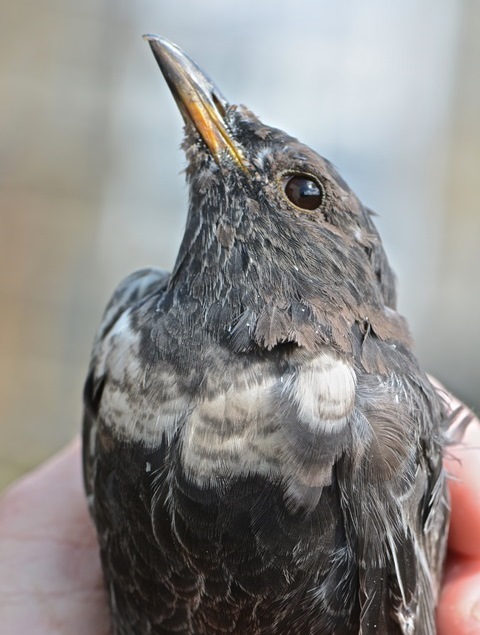 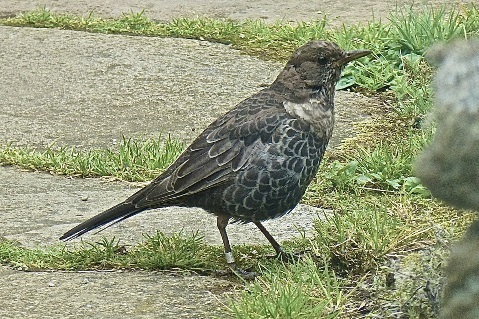 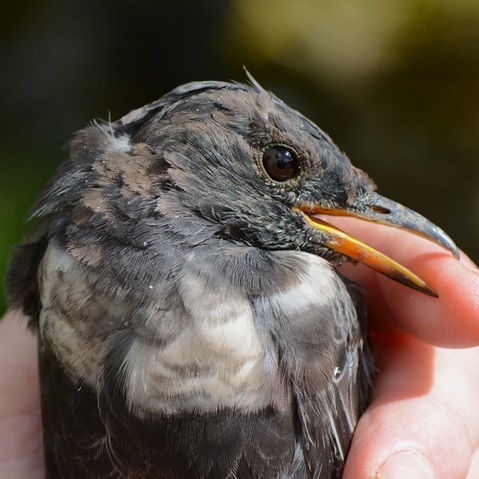 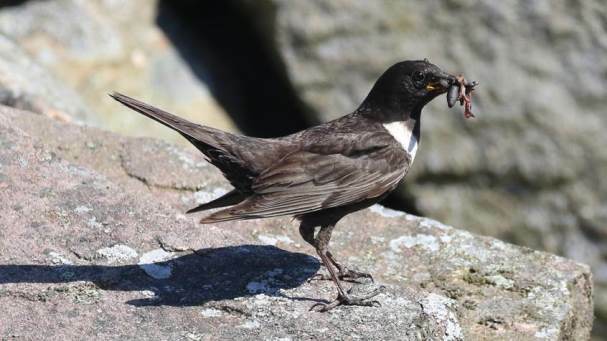 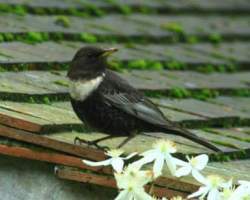 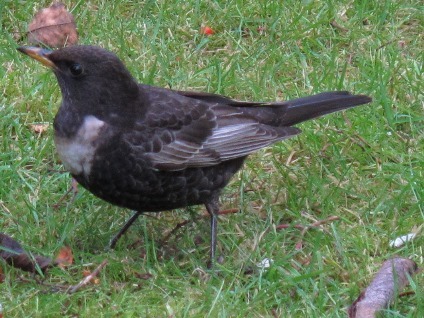 The first photo is of a colour-ringed Ouzel which was ringed as a breeding female in Glen Clunie in 2013. 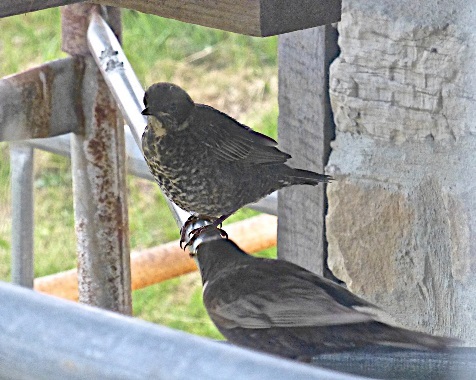 The same bird has been recorded breeding in Gen Clunie in 2014, 2015 and has just fledged her first brood in 2016. 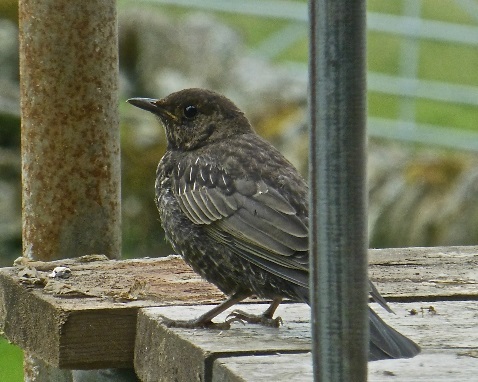 Below: Two photos taken by Alistair Crowle in the summer of 2016 of Ring Ouzel nests in a barn in the North Pennines,. 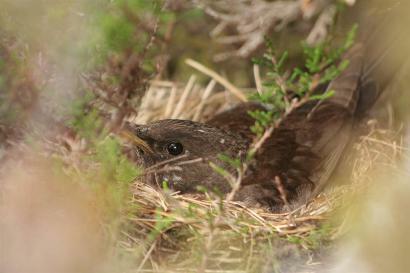 The same pair of birds raised two successive broods, one brood in each nest. 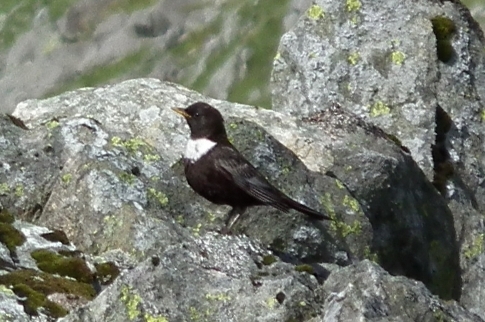 Below: Photo of adult Ring Ouzel near the summit of Dow Crag (Coniston Cumbria) taken on 9th August 2015. 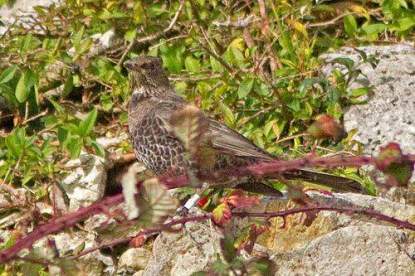 Photo courtesy of John Holden. 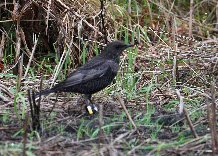 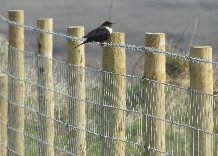 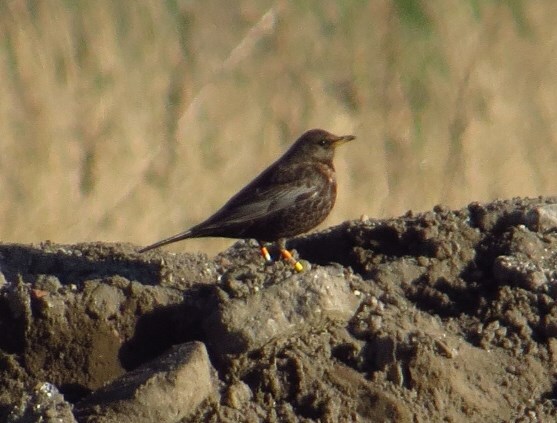 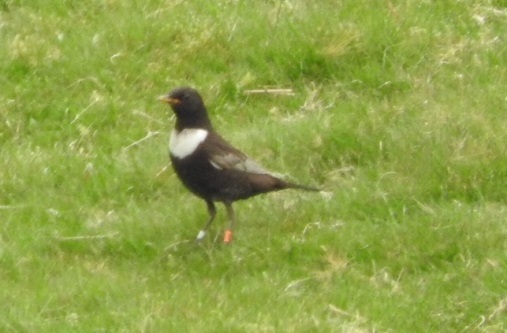 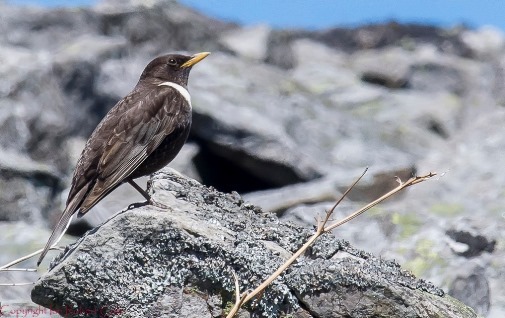 Below: Photo of a colour ringed Ring Ouzel at Rosewall Hill between St. Ives and Zennor in Cornwall taken on 24th April 2015. 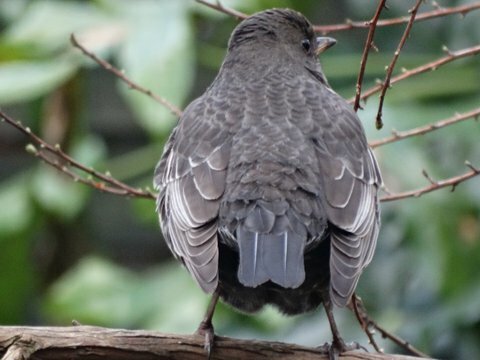 Courtesy of Vivian Stratton. 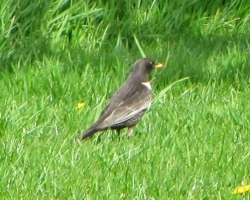 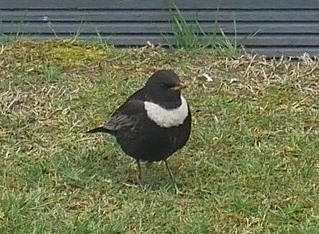 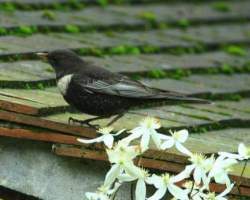 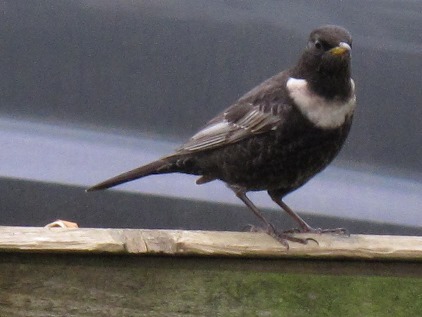 Above: Ring Ouzel seen in Magdalen, Kings Lynn, Norfolk on 21st April 2014. 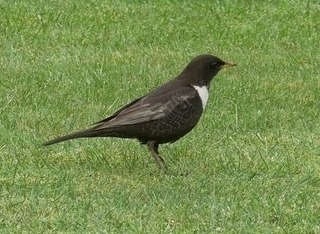 Photo taken by Clive Girdler. 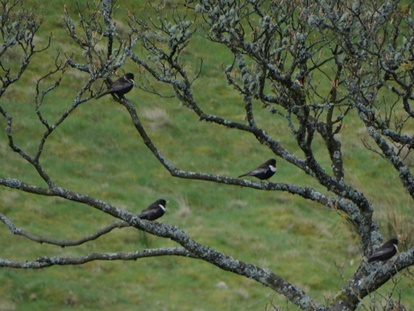 Above: Ring Ouzel seen on Cromarty on 22nd April 2014. 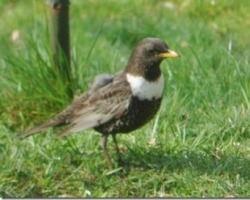 Photos taken by Gordon Haynes. 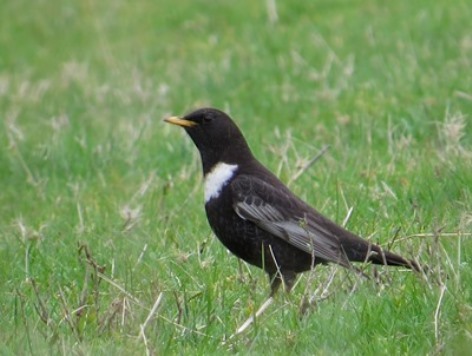 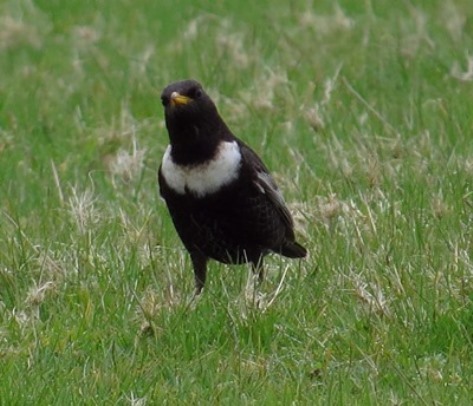 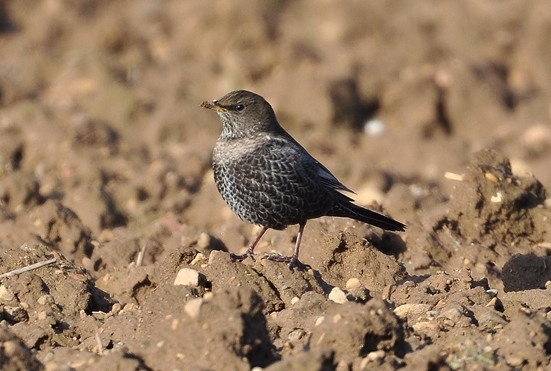 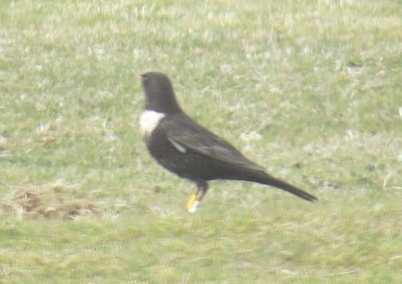 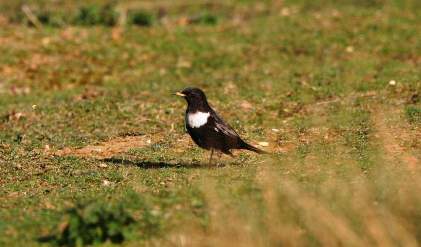 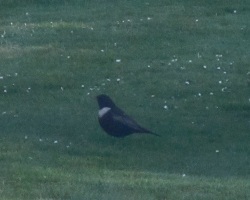 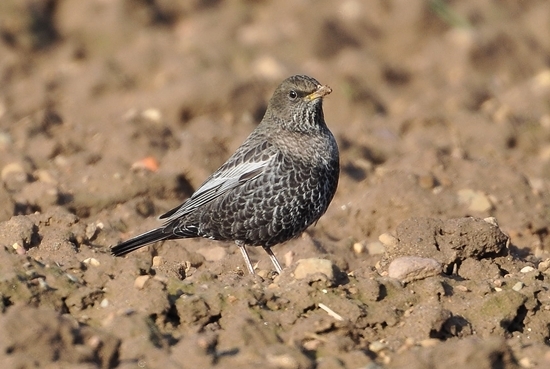 Above: Ring Ouzel seen in Runham Norfolk on 17th April 2014. 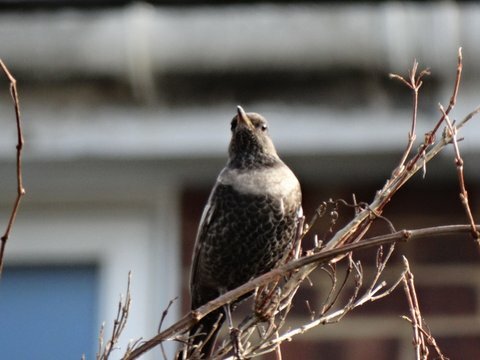 Photo taken by Sharon Jordon. 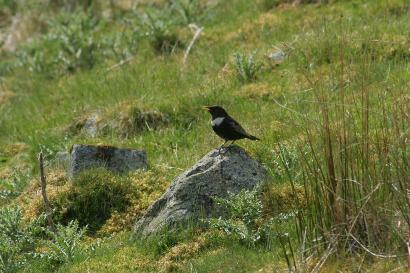 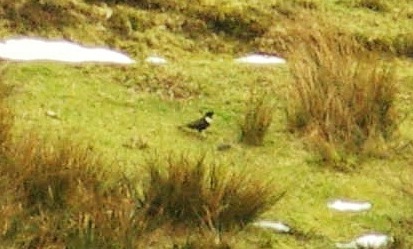 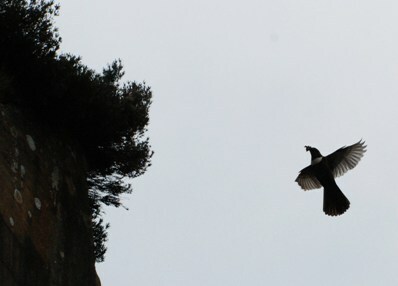 Above: Ring Ouzel seen near Cairngorm mountains on 13th April 2014. 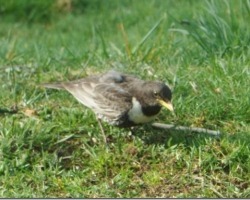 Photos taken by Bunty Macdonald. 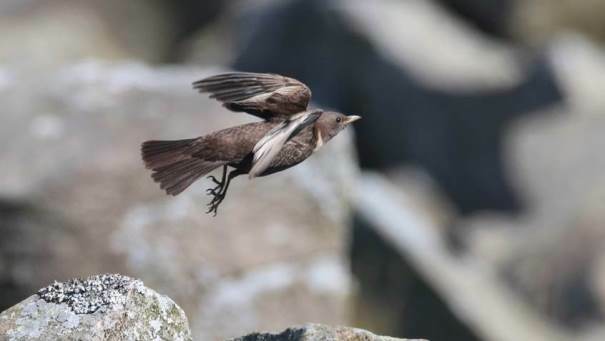 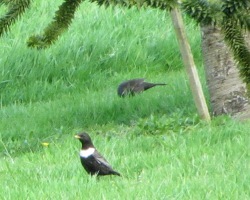 Above: Ring Ouzel seen in Cornwall on 10th April 2014. 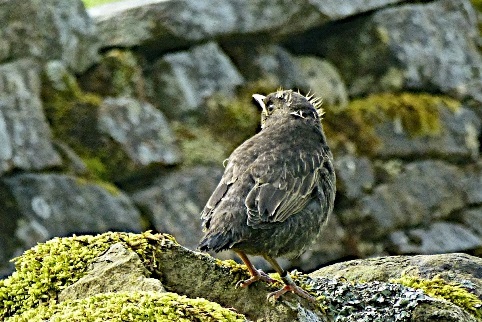 Photos taken by Gillian Nott. 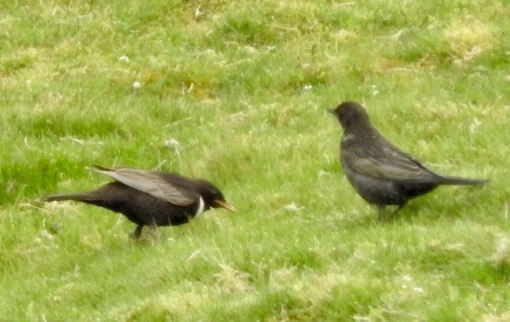 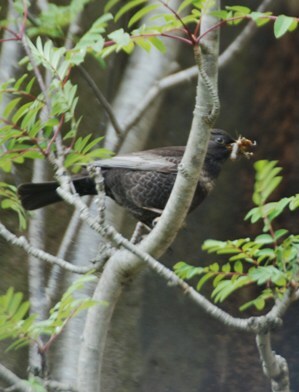 Right hand photo shows Blackbird in background. 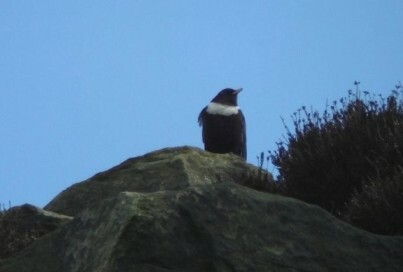 Above: Ring Ouzel seen in the North Wirrall on 5th April 2014. 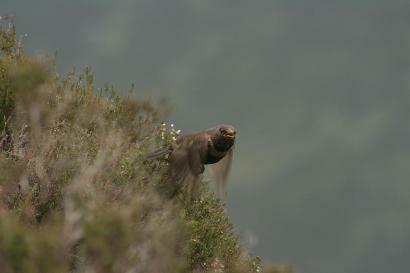 Photos taken by Gill Lewis. 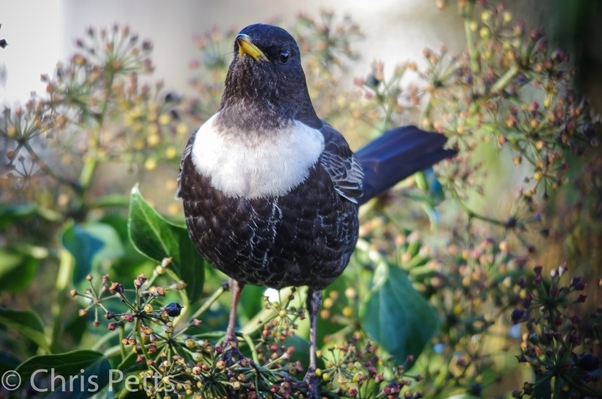 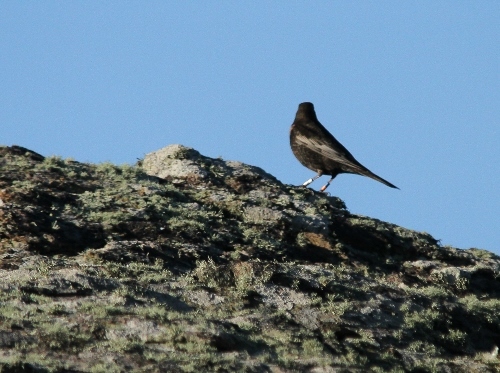 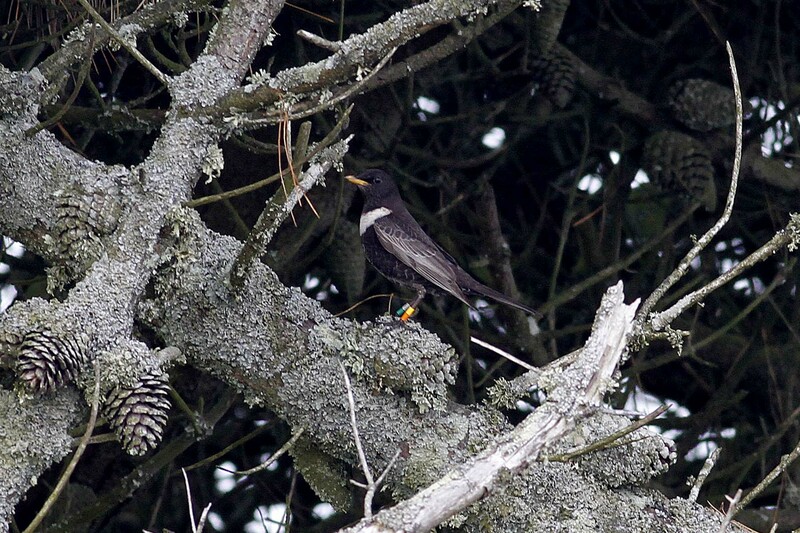 Above: A colour ringed Ring Ouzel seen near St Agnes Isles of Scilly on 15th Oct 2013. 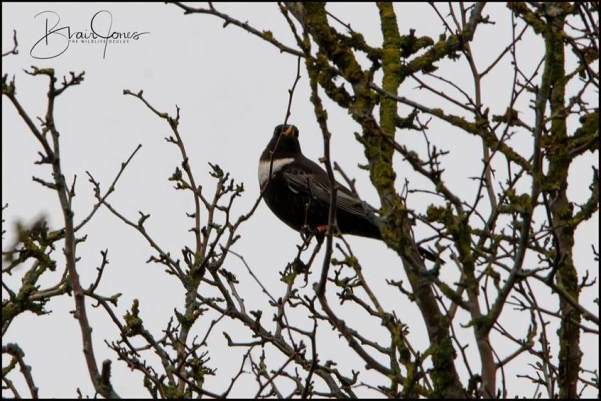 Photos taken by Philip Kenyon. 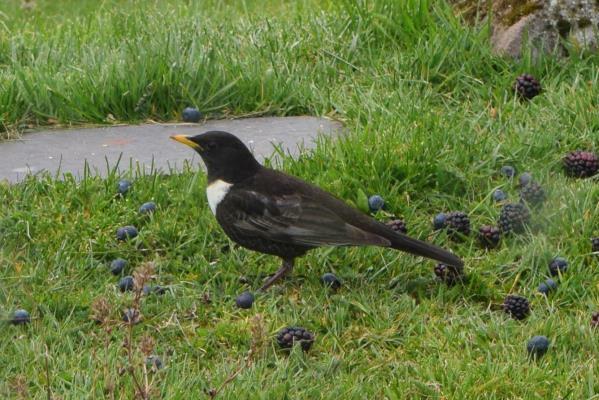 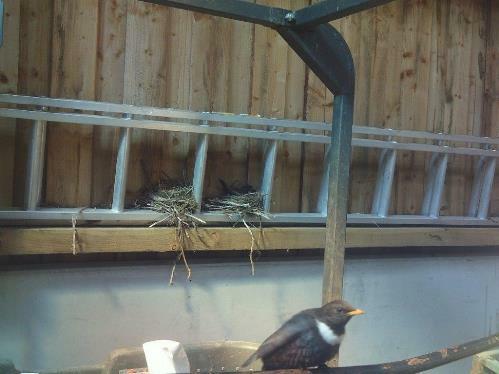 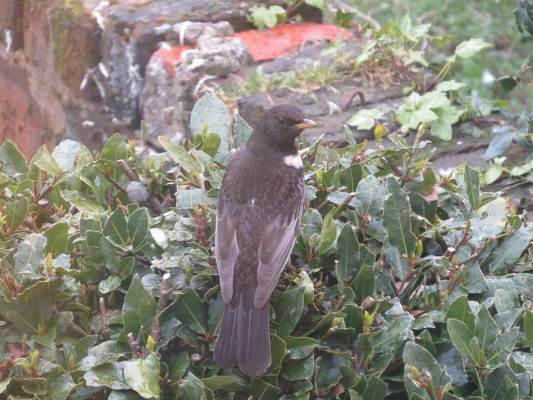 Above: Photos of a colour ringed Ring Ouzel seen near Portland Dorset on 27th Oct 2013. 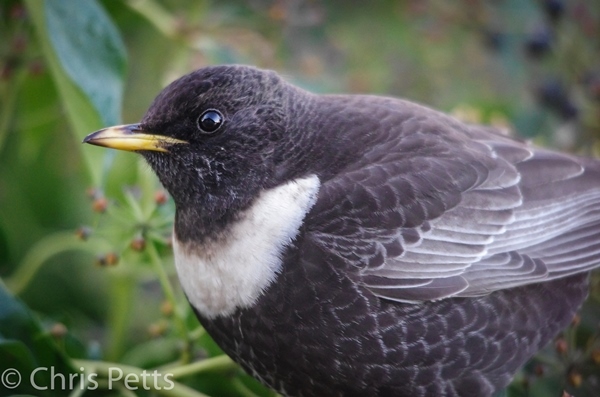 Photos taken by Keith Pritchard. 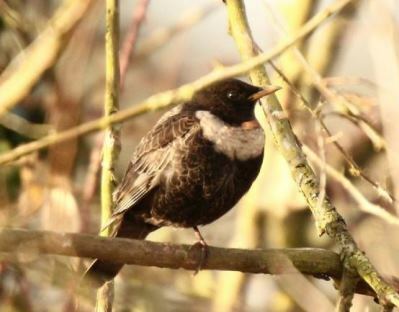 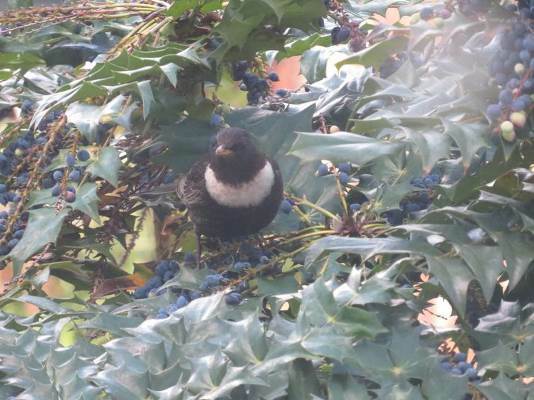 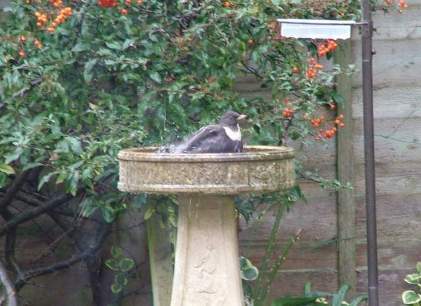 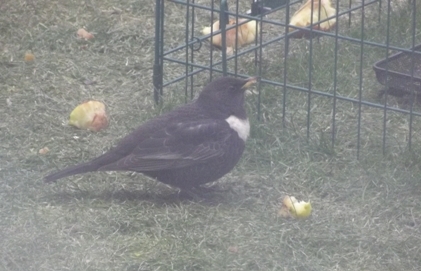 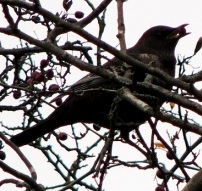 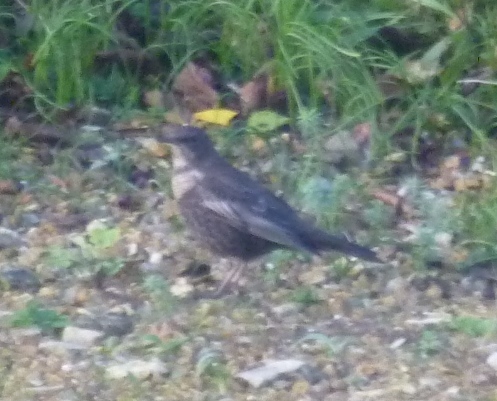 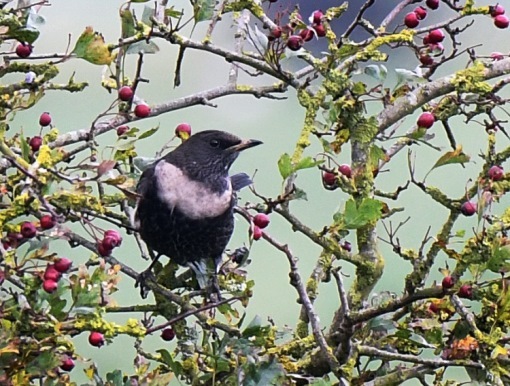 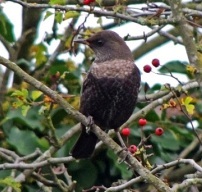 Above: Photos of adult Ring Ouzel seen near Bognor Regis West Sussex on 12th Oct 2013. 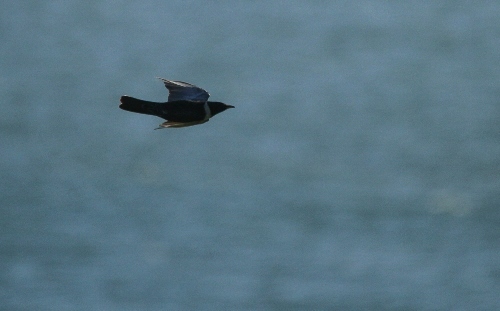 Photos taken by Phyllis Buck. 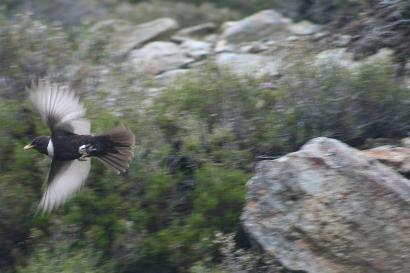 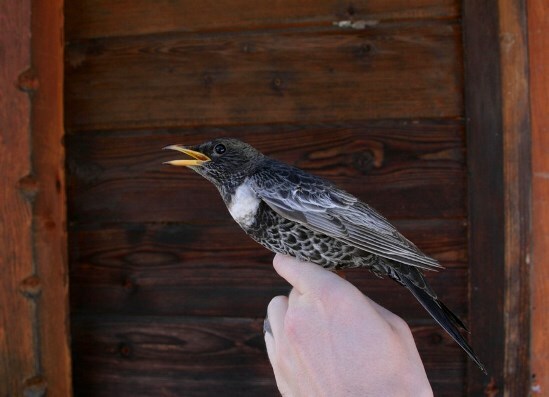 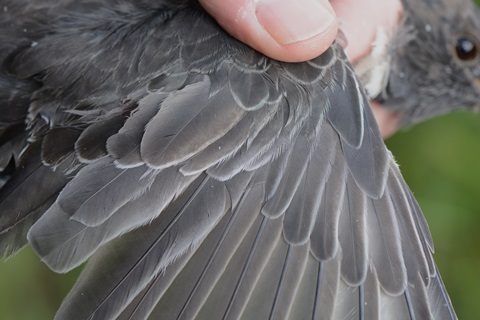 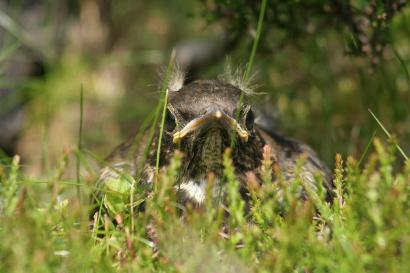 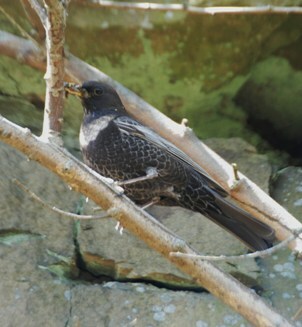 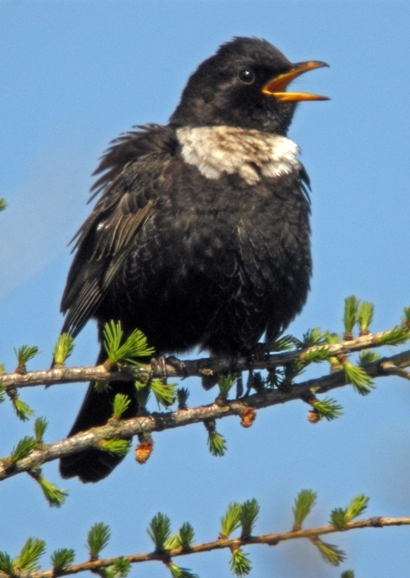 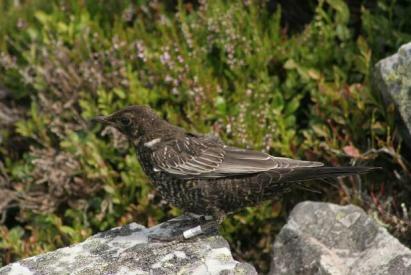 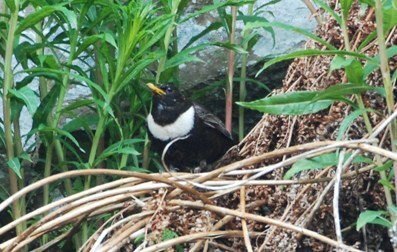 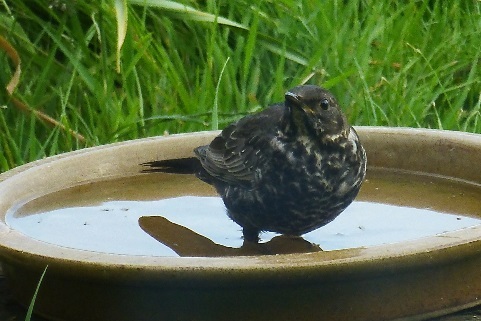 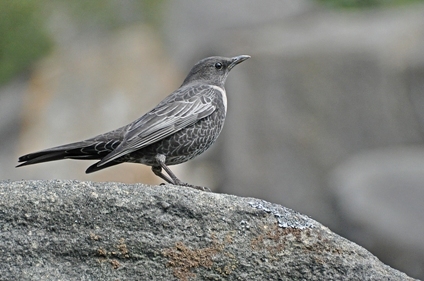 Above: Trapped and killed fledgling Ring Ouzel. 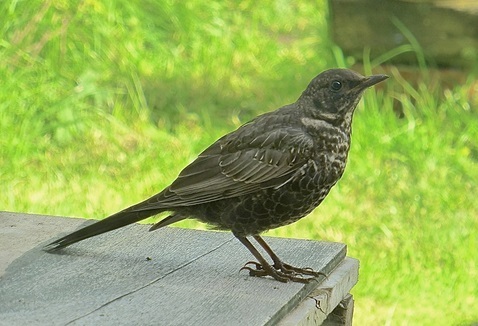 See sighting 18th July 2013. 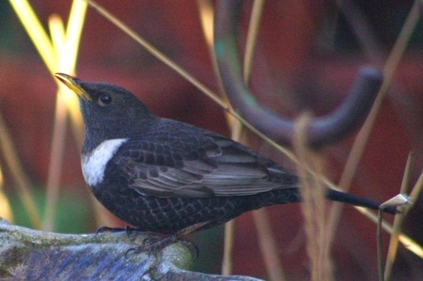 Photo taken by Ian R Poxton. 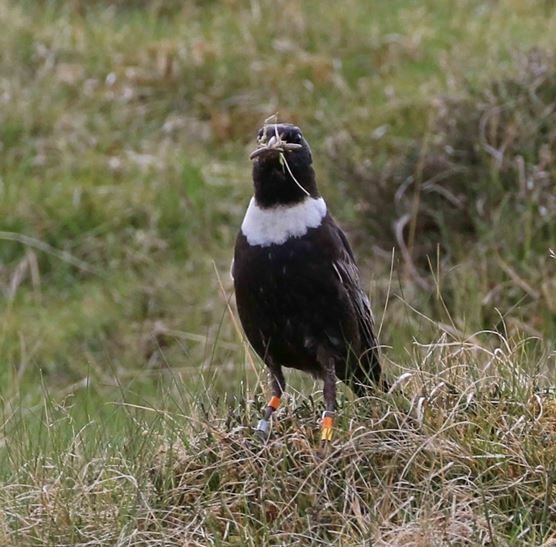 The colour rings indicate that the bird was ringed as a chick in Glen Effock in Tayside by Mike Nicholl in 2010.